From the DriverConnect web portal, fleet managers can send forms, messages, and workflows groups or to individual drivers — which drivers can respond to via the DriverConnect app. Improve customer service and optimize dispatch operations with standard form messages for driver availability and load acceptance, along with confirmations of pickup and delivery. Two-way instant messaging helps streamline fleet-to-driver communication, reduce phone calls, and keep records of activity in one centralized location. Create contacts list of the available people in your organization that you can send and receive messages from. Easily create a group message from your contacts to communicate with multiple drivers at one time to efficiently get in touch. Fleet managers can create and send workflows via Instant Messaging, keeping drivers organized and on-time. 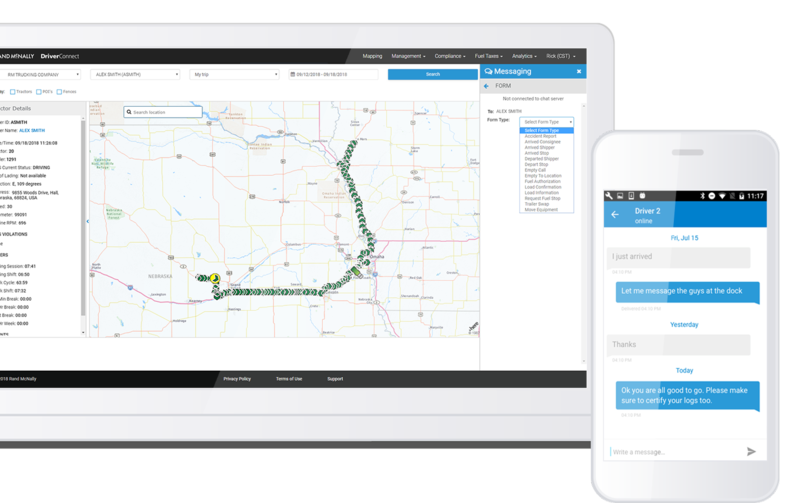 Streamline dispatch communications into one list of drivers tasks, and simplify the interaction between dispatcher and driver. Cloud-based forms can be sent as an attachment. Multiple forms are available to create work flows. 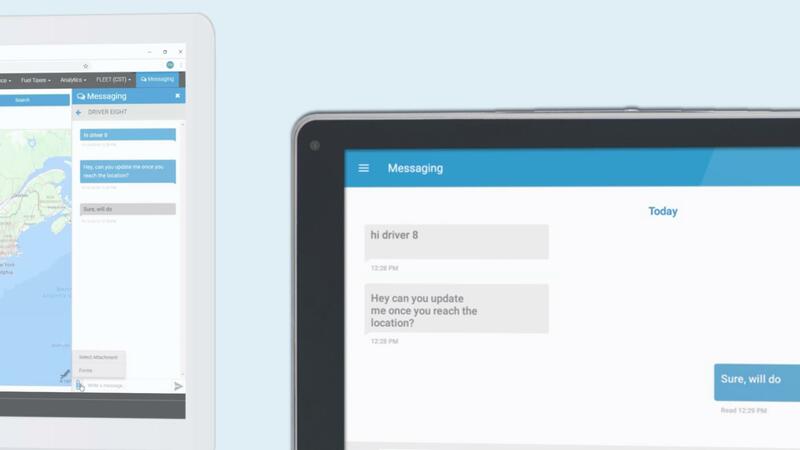 Fleets can customize an unlimited number of canned messages for drivers to send from the cab. Use free-form messages that support up to 2,400 characters.